\"LIEUTENANT-COMMANDER (E) GYLES ANTONY OWEN ANDREWS, R.N., H.M.S. Barham, was the only surviving son of the late Surgeon Captain Owen Andrews, C.B.E., R.N., and of Mrs. Andrews, St. Briavels, Gloucestershire. 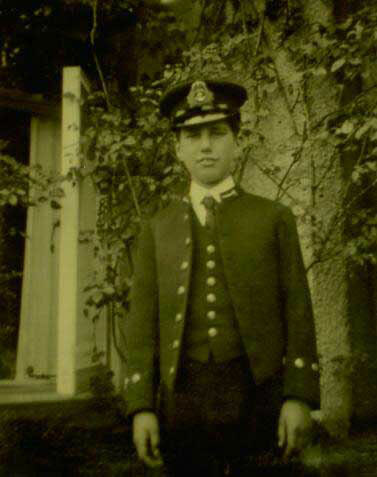 He joined the Navy with a special entry cadetship in January 1927, and after a year\'s training in the Erebus at Devonport was appointed as Midshipman (E) for the four year specialist course at the R.N. Engineering College, Keyham. He was promoted sub-lieutenant (E) in May, 1930, and lieutenant (E) in August, 1932. From 1932 to 1934 he served in the Royal Oak in the Mediterranean. After four months language study he qualified as an Italian interpreter in October 1934. Subsequently he served in the aircraft-carrier Hermes in China, and the destroyers Brilliant and Intrepid in home waters and the Mediterranean. He joined the Barham in 1940, shortly after his promotion to lieutenant-commander (E).